This was a problem I encountered during my first visit to Ecuador on a field biology course. I was alone hiking through the rain forest in Yasuni National Park near Shiripuno research station and lodge when I came across a stream. The stream was a bit too wide to jump across and a bit deeper than my rubber boots were tall. I was weighing the pros and cons of just taking off my boots and socks, rolling up my pants and wading across when I was seized with a powerful impulse. Suddenly images from Tarzan and George of the Jungle filled my mind…Why walk across when I could simply grab the nearest vine and SWING across? Of course it wasn’t quite that easy but it wasn’t hard either. I looked carefully for vines that started on my side of the stream and ended high in the trees on the other side. When I found a vine that matched that description, I carefully put my weight on it, testing its strength. To my surprise, it seemed easy to find a vine that would support my weight but the final test lay ahead. I took the large knife I often carry on my adventures (a machete is a great resource in the jungle) and cut through the vine with a quick chop. Swinging across was actually quite easy. I just reached as high up as I could, pulled myself into the air, fully supported by the vine, kicked off and let gravity to its work. I then wrapped the vine to another vine on the opposite bank and on my return I had an easy way of crossing back. I had another chance to swing from a vine in Africa. 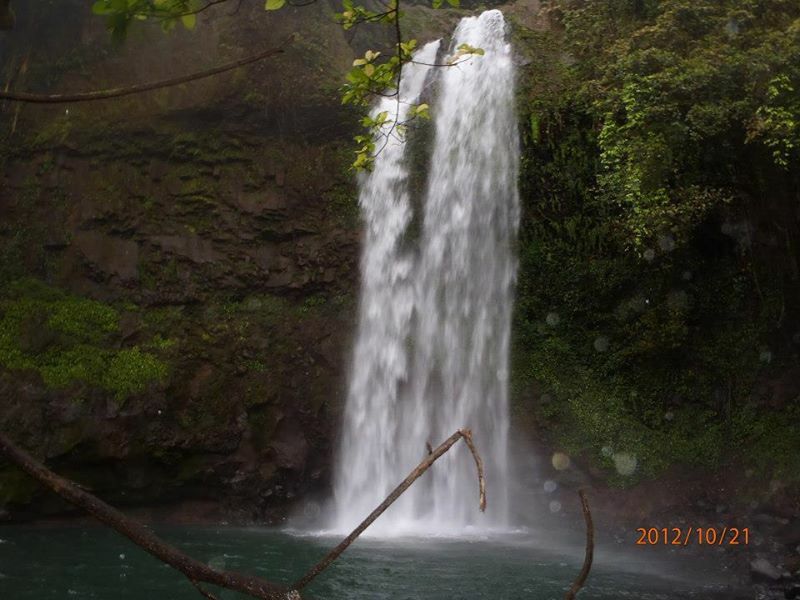 Our research team was out for a hike and found a water fall plunging into a beautiful swimming hole. There were vines hanging from trees overlooking the top of the cliff and it was too much fun to grab one of these, climb a little up the cliff and swing over the pool of water before dropping in with a wonderful splash. I must admit, I still feel a little guilty about cutting the first vine to use it for such a frivolous purpose and would not recommend making a habit of cutting vines unless its absolutely necessary. Although if the opportunity arises, now you too can show off your Tarzan moves with confidence! It’s always nice to read a blog post like this and truly realize the importance of higher education in this country.